SeaArk Boats: Click here to view the models. Misty Harbor Pontoons: Click here to see our selection! 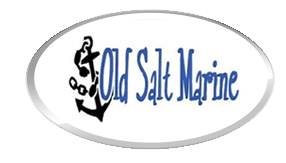 Old Salt Marine is your one-stop shop for all things boating. We have been your local Lakeland and Polk County dealer for over 18 years, and have been voted Polk County’s best dealer. Old Salt Marine is proud to announce that we are now a FULL line dealer for SEA PRO boats at our Lakeland and Wildwood locations. One of the most popular brands ever produced is here. Please come see us today.